Unless you’re about to have an event, you’re probably not thinking about a backyard sound system. There are a few reasons why this should be on your mind, though. Imagine that you’re outside relaxing in your new zen garden. Unfortunately, there are no birds or rainfall sounds in your garden. You hit a remote and close your eyes. Suddenly, you’re hearing exactly what you want out of your zen space. It might even drown out local sounds like neighbors, dogs, and traffic. It’s like being transported to exactly the place you want in that moment. Sound systems are traditionally used for parties, though. We like thinking outside the box. We definitely would pipe zen music and natural sounds into a garden to amplify the experience. You might want your backyard sound system for your next 70s party or your child’s high school graduation. The sound system will likely include a system for playing the music as well as strategically places speakers. 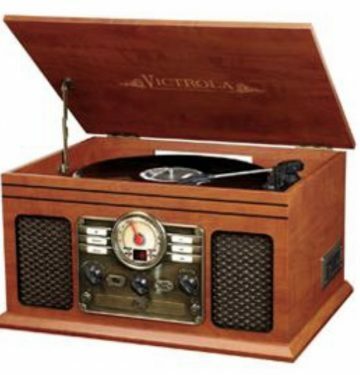 We have reviews of sound systems like turntables for your next party where the music really matters. There’s also articles on indoor/outdoor speakers and even Bluetooth jukeboxes. While you want a sound system for your next big party, you can consider speakers and all the accessories for everyday use, too. There’s no reason you can’t enjoy music or the sounds of nature throughout the year, too.